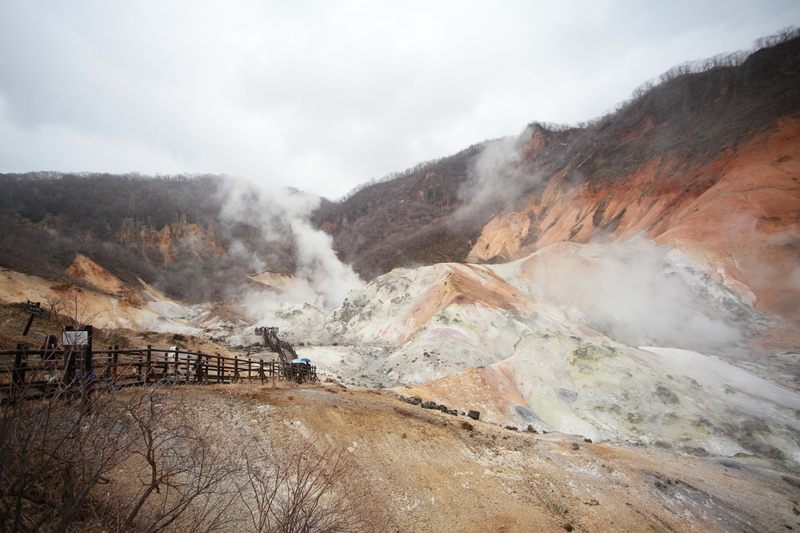 Enjoy the vibrant natural scenery of Jigokudani, a red stone crater valley sprinkled with steam vents and hot springs. Fittingly named “Hell’s Valley,” the area is actually a crater formed by a volcanic eruption more than 20,000 years ago. From the boardwalk above the crater you can observe the bubbling sulfurous streams, rising steam, and the vivid red cliffs, all contributing to the area’s “hellish” appearance. Explore the surroundings on the nearby undulating forest trail to discover a hot sulfur pond and dip your feet in the river that flows from it. Plan your visit to Jigokudani and a wealth of other attractions, well-known and undiscovered, using our Noboribetsu tour planner . Hokkaido is famous here. Individual excursions, etc. have visited many times. Snow until stopped, could go. Snow is the best. A valley with easy routes with exciting volcanic steam outlets, ways only partly in the winter open. But also then worth seeing, especially since only a few 100 meters from the shopping street away. Of course, as usual in Japan, very well visited. Sometimes, the Japanese nerves with their Selfie craze, because it barely ahead by photographing groups. But they expect that the air is violently muffelt of sulphur. Every day, we help thousands of travelers plan great vacations. Here are some tips on how to use your Listing Page to attract more travelers to your business - Jigokudani. Promote your permanent link - https://www.inspirock.com/japan/noboribetsu/jigokudani-a774272445 - on your website, your blog, and social media. When a traveler builds a plan from this page, the itinerary automatically includes Jigokudani. This is a great way for travelers looking for a great vacation in your city or country to also experience Jigokudani. Promoting your link also lets your audience know that you are featured on a rapidly growing travel site. In addition, the more this page is used, the more we will promote Jigokudani to other Inspirock users. For best results, use the customized Trip Planning Widget for Jigokudani on your website. It has all the advantages mentioned above, plus users to your site can conveniently access it directly on your site. Visitors to your site will appreciate you offering them help with planning their vacation. Setting this up takes just a few minutes - Click here for instructions.